Two beautiful black Kudo Horns mounted on marble and walnut bases. One-of-a-kind pieces, for sale. 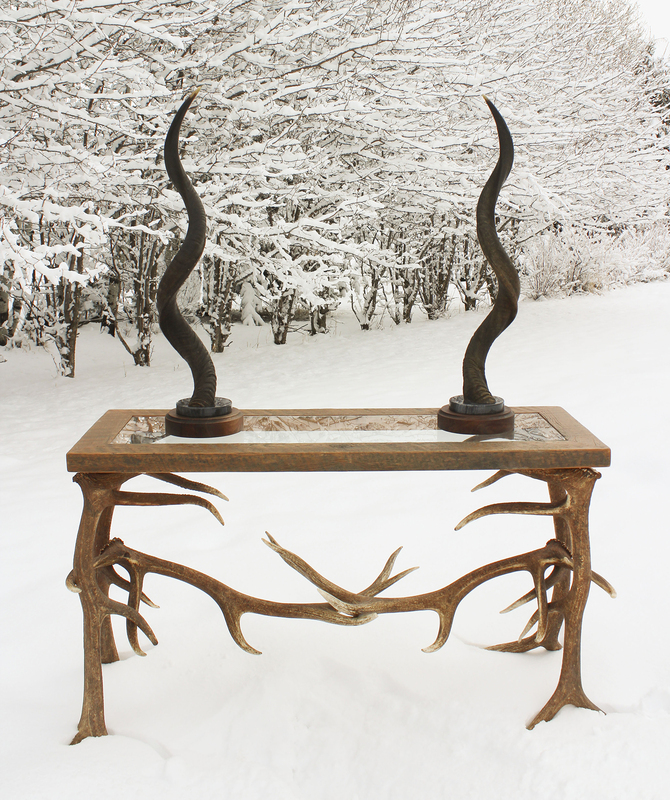 Elk antler sofa table features a barn wood and glass top and six large elk antlers as the base. 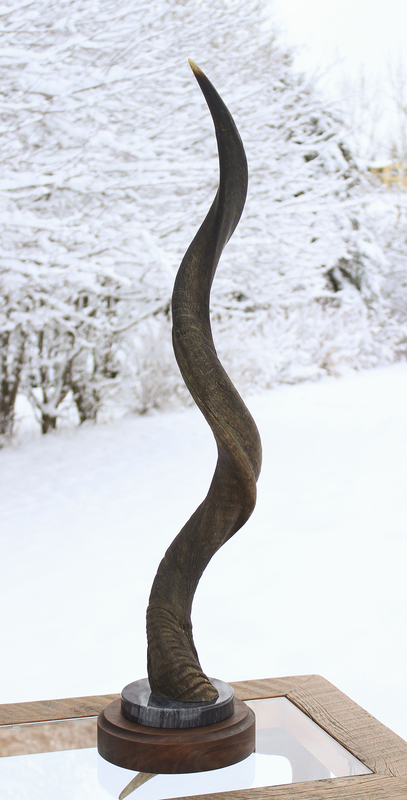 Stands 35″ tall, 54″ long, 20″ wide. For sale. 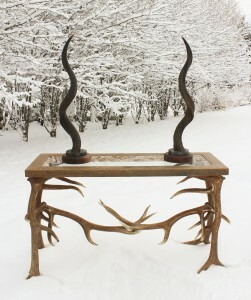 for more information or visit our website to see all the custom antler, wood and metal creations.